I found out on Friday that I passed my graduate portfolio. I turned in the last several documents for it earlier in the week, and expected to receive revision recommendations from my advisor soon. I thought I’d likely spend this weekend tidying everything up. Instead, I opened my e-mail inbox to see the message subject line: LIBR 289 CONGRATULATIONS CHRISTINA CERTO. I’d completed the requirements for the course. I spent the next day in shock and then decided that a long set-aside culinary project was in order. I’d put off doing it due to time restraints–but this weekend presented the perfect conditions. -Mix 1 cup of the flour, the water, and the yeast together and then set aside to rest for one hour. The mixture will become very foamy. 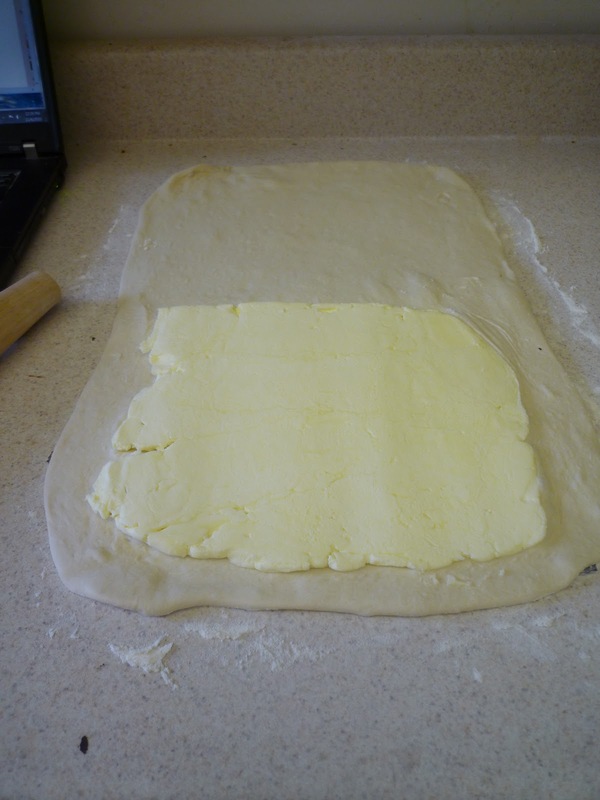 -Add the remaining flour, cream, and salt, then knead the mixture for one minute. Let the dough rest in a bowl covered in plastic wrap for 20 minutes. -At this point you can either knead the dough by hand for about 10 minutes or in a mixer fitted with a dough hook attachment for 15 minutes on a low speed. 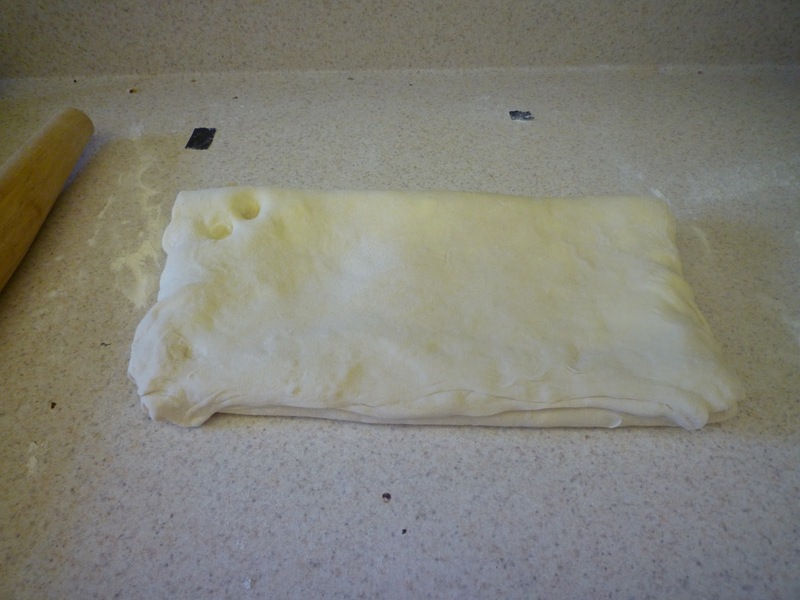 Wrap the dough in plastic wrap and refrigerate for a half hour. -Place the sticks of butter in between two sheets of plastic wrap and pound / roll them out into an 8 inch square. 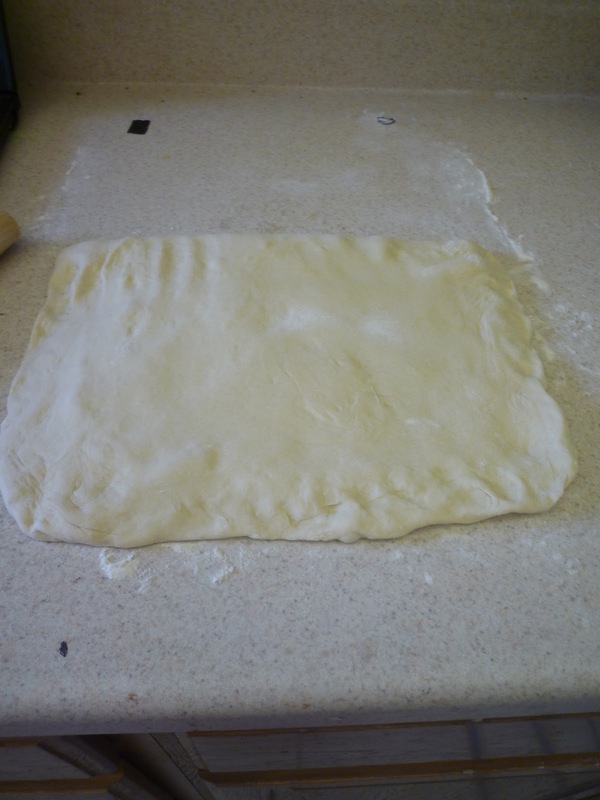 -Fold the top of the rectangle over the square of dough and pinch the edges with your fingers to seal. -Roll the dough out to a 9 x 18 inch rectangle again and complete another letter-fold. Wrap in plastic wrap and chill for at least an hour. (I docked the top with two dots to note that I had completed two “roll-fold” cycles. 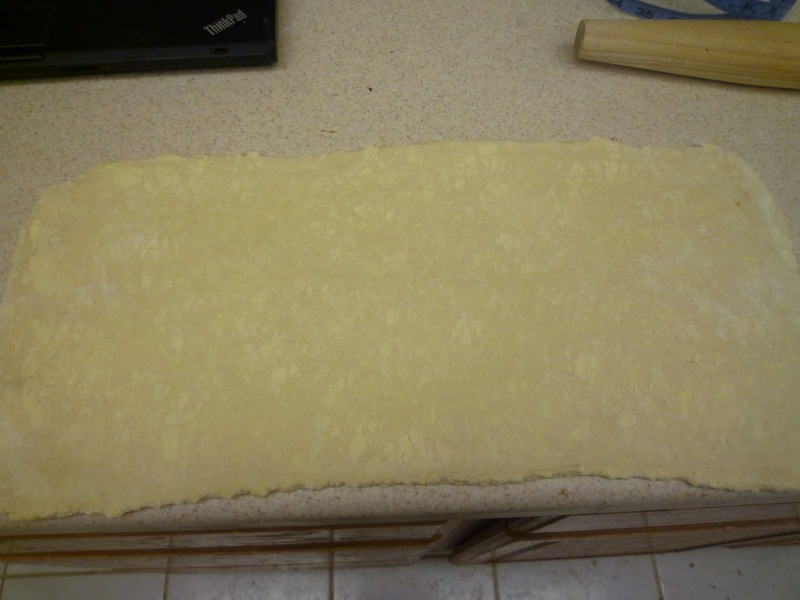 -Remove from the fridge, roll the dough out to a 9 x 18 inch square and letter-fold two more times. (A total of four). 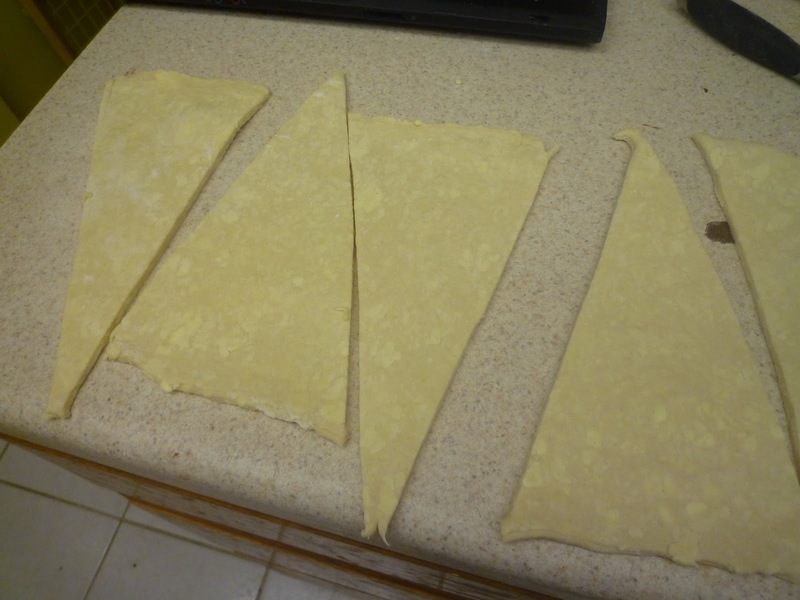 Cut the final letter-folded dough in half and wrap each in plastic wrap. Now the dough is ready for use, although aging it for a few hours or overnight will develop more flavor. 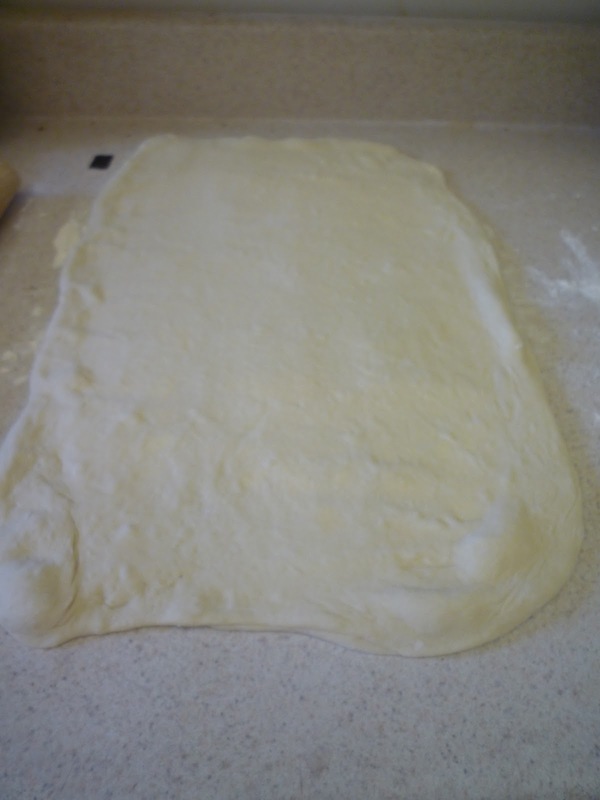 -Roll the dough out into two 6.5 inch by 20 inch rectangles. Place on two parchment-lined baking sheets and return to the refrigerator for 20 minutes. -Dock the edges on each side of the rectangle to mark off triangles. Cut them out with a pizza cutter or small, sharp knife. 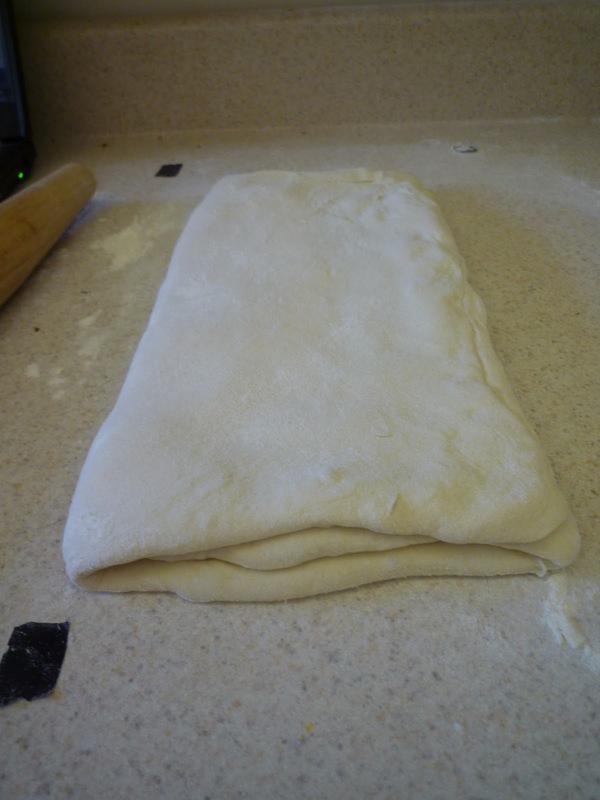 -Make a slit at the base of each triangle and roll slightly outward as you tightly roll up the croissants. 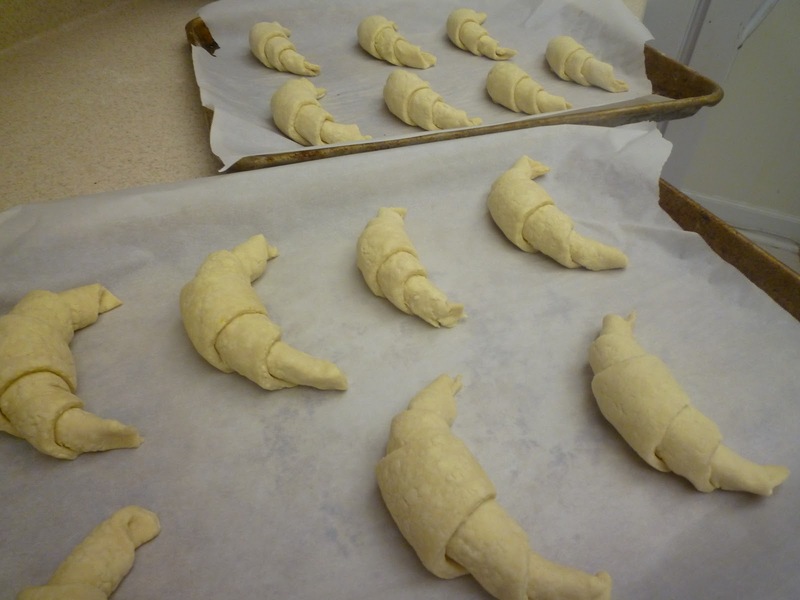 Roll the triangle up so that the final tip is underneath and then bend the two ends toward one another to form the classic croissant shape. -Arrange the rolled croissants on parchment-lined baking sheets, cover with plastic wrap and proof overnight in the refrigerator. 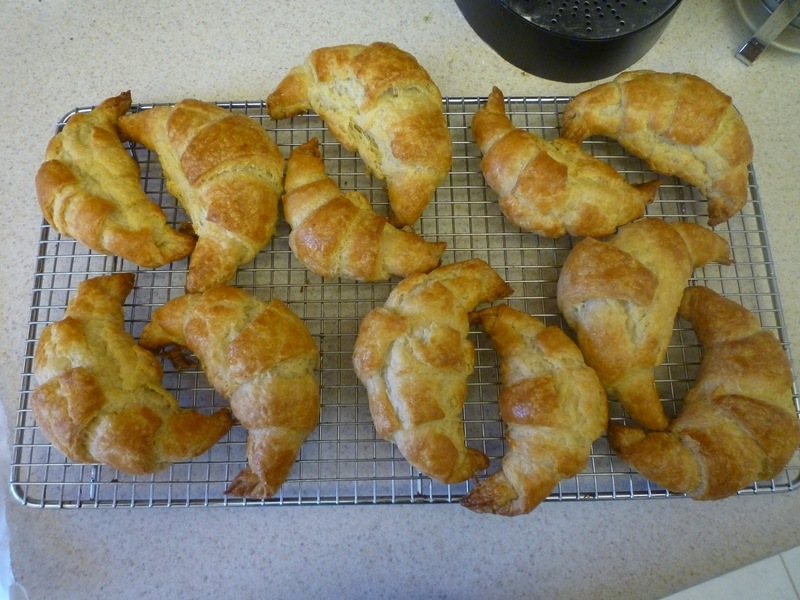 -When it is time to bake, remove the croissants from the refrigerator and leave them at room temperature for an hour. 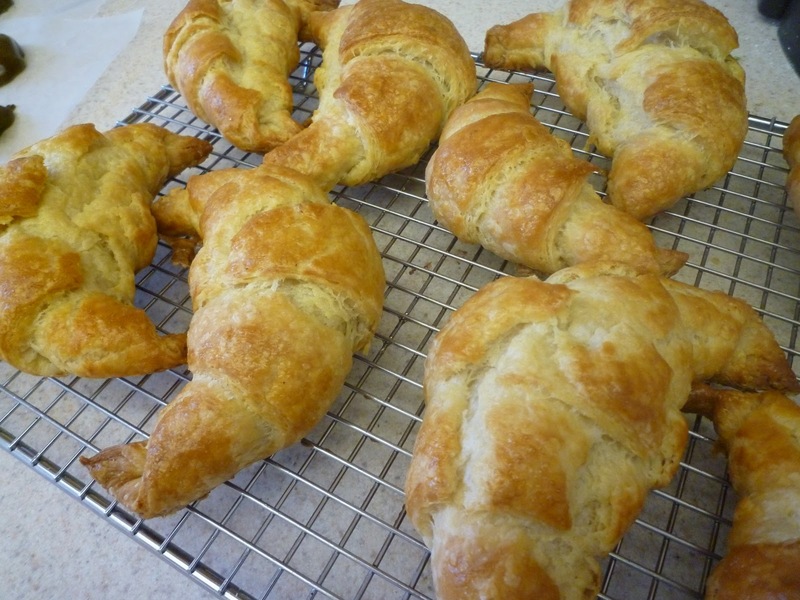 Beat one egg and a splash of cream together and brush the mixture on top of the proofed croissants. 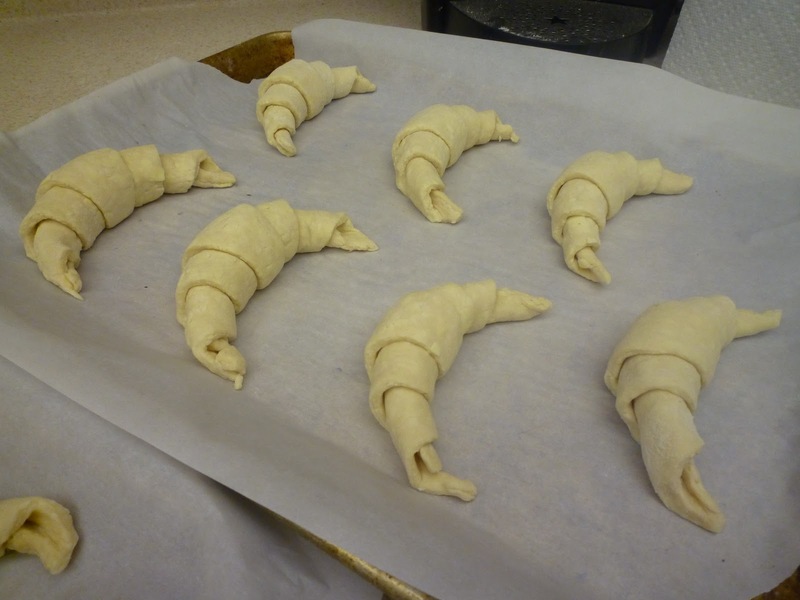 -Pre heat the oven to 375 degrees F and then bake croissants for 35 minutes or until puffed and deeply golden-brown. Cool on a wire rack and enjoy the buttery flaky goodness.